2018 is all about owning my identity as a dancer and giving my best performance at every competition for you, my lovely audience! It’s also the first year I’ll be competing in two styles, Smooth and Standard! If you’ve followed me for awhile, you know this list is 2-3 times longer than my usual list of comp goals for a year. Let’s see what happens! The Royal Ball – A small but beautiful event. We only danced Smooth for this first competition of the season. I had a lot of fun going live on Facebook throughout the morning! Ballroom Beach Bash – My Smooth redemption and Standard debut! Read all about it. Emerald Ball – Coming only a few weeks after Beach Bash! We decided to just dance Smooth at this one to give me a little more time to get comfortable in Standard. 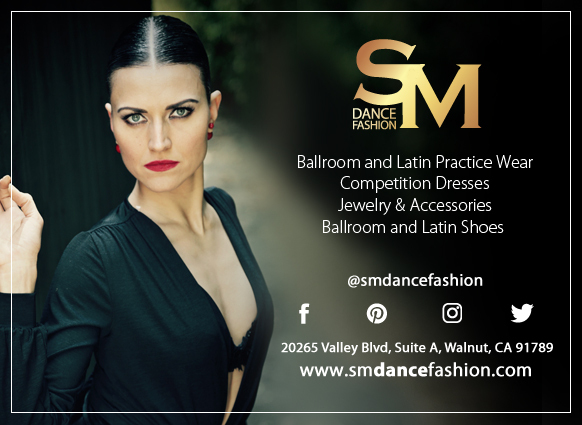 Millennium Dancesport – My first trip to New Orleans and this competition! Looking to compete in both styles at my first “away” comp of the season. Embassy Ball, a.k.a. “Worlds” – I took a major ego blow at this comp last year. Looking to redeem myself. United States Dance Championships, a.k.a. “Nationals” – Twice I’ve attempted to get to this comp and twice I haven’t made it. Will 2018 be the year? Just some thoughts for “some day.” I’m more likely to work toward them if I let the world in on the secret. Some day I want to write a book related to my pro-am experiences. DONE! Click here to learn more and download my Dance Diaries series! Some day I would like to compete with an amateur partner. Certainly would be less expensive! – Currently searching for a partner to work and compete with. Some day I want to be able to support another dancer like me who is rich in passion and drive but poor in the financial means to achieve their dreams/goals.